Ok so update! i added livestock! 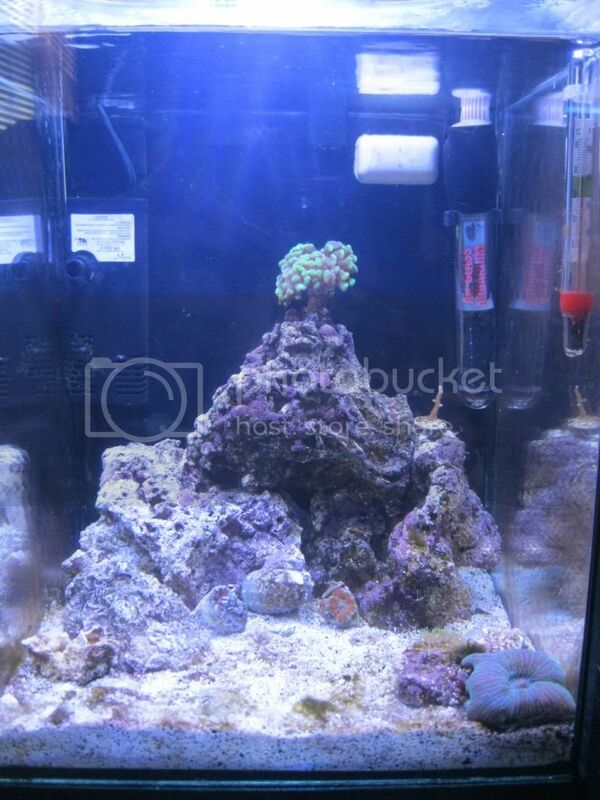 just corals and snails for now, not quite comfortable enough to add my yellow watchman goby yet. Everything is doing great so far, and i do have algae growth though, so im about to go to marine extreme and pick up some hermit crabs. I pickey up some awesome corals from Justin (thanks!) and have a few from my own collection. Here is what i have in the tank so far: very large turbo snail ( not to stay just to help with algae bloom) and a nerite snail. 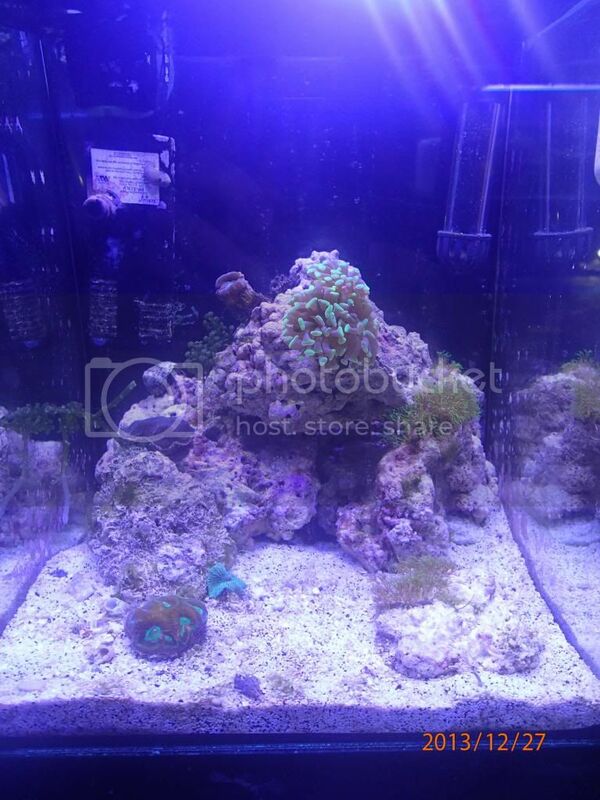 as for corals i have: Neon green hammer coral (1 head), 2 acan colonies (2-3 heads), green star polyps, Giant blue mushroom, small frag of pink birdsnest. I decided on what i wanted for fish, im going to go with a yellow watchman goby, and a tailspot blenny. Sent from my iPhone by spaceships! Looks good! I'm a nano fan too. Last edited by Justin; 12-27-2013, 11:33 PM. Tailspot blenny is my favorite! All times are GMT0. This page was generated at 03:10 AM.